Learning scales and arpeggios on guitar is a very important part of jazz's apprenticeship. You will find a whole load of free guitar resources on this blog section as guitar neck diagrams, licks, TABs, formula charts and theory. These jazz lessons don't follow a sequence, you can jump into them in any order you choose. What Are Dominant 7 Arpeggios? Dominant 7 arpeggios are built with root (1), major third (3), perfect fifth (5) and minor seventh (b7). They are basically used to play over dominant 7 chords. You will find here a free cheet sheat about major 7 arpeggios. 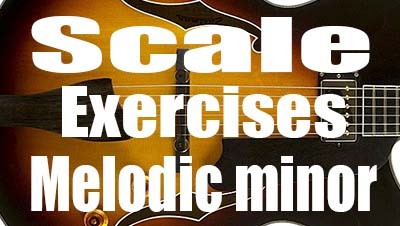 This quick guitar lesson provides a brief description of major 7 arpeggios including neck diagrams and formula charts. This document is available in three versions : PDF (for printing), JPEG and PNG for on-line publication. When learning how to play jazz guitar, one of the most important device to master is to play each tone of a chord in order to outline a specific progression. This is what we call arpeggios. 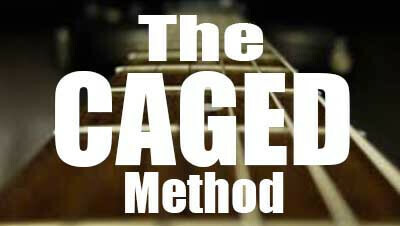 They are great melodic tools when you want to highlight the chords you are soloing over. 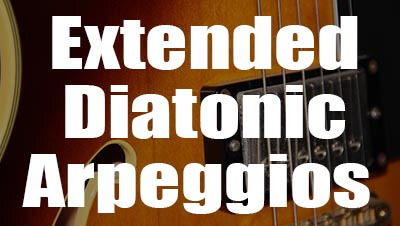 This article is focused on diatonic seventh arpeggios and their extensions. In a first time, before applying these extensions, it is recommended to have a very strong knowledge of the triads, both the chords and the arpeggios. The minor blues scale is mostly referred to as the minor pentatonic scale with a b5 thus giving the interval pattern 1 - b3 - 4 - b5 - 5 - b7. However, few musicians know that there are three types of minor blues scales depending on wether you incorporate the flat fifth (b5), the major third (3) or the major seventh (7) to the minor pentatonic scale. In this lesson you will learn how to build, play and recognize each of these three minor blues scales. Arpeggios are essential musical tools that allow you to build pure and beautiful lines while highlighting the harmony. When playing over chord changes, using arpeggios is the most efficient way to connect these chords together. This lesson provides four arpeggio exercises with tabs, standard notation and diagrams that will help improve your guitar skills and your theoretical knowledge. What's the blues arpeggio ? Traditionally, when a student learns to improvise over a jazz, blues tune, he taught pentatonic scales, major triads or dominant 7th arpeggios, but there is something missing to get this specific and exciting jazz, blues sound. 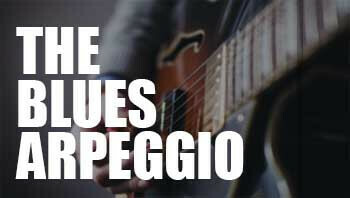 The blues arpeggio is a very interesting and important device to use over this musical genre. It is a mix of a major triad and a minor triad, it contains both major and minor thirds, representing one of the most vital elements of the blues. In this jazz guitar lesson we will see how to build the blues arpeggio, how to practice it and how to play it on a blues. When a jazz beginner starts to improvise over a II-V-I progression, he generally plays arpeggios corresponding to the chords of the sequence. In other words, he learns to play minor arpeggios over the minor chord (II), dominant 7th arpeggio over the 7th chord (V) and major arpeggio over the major 7 chord (I). This way the harmony is highlighted without taking risks. Then, comes the modes, the basic rules concerning modes is that to play dorian over the minor chord , mixolydian over the dominant and ionian over the major chord. In short, in the long-run there is nothing exciting. That's why there is a nice trick used by number of jazz players to add smoothness to a line over a dominant 7th chord. This is a little tip that makes all the difference, simply play the notes of a major 7th arpeggio over the V7 rooted on its b7 degree. The minor pentatonic scale is by far the most used scale in the world all styles taken together (jazz, blues, rock, reggae, pop, country). One of the explanation is given by the structure. Indeed, there are no semi-tones in it. It is easy to play on the guitar and it can be used in a whole lot of very different contexts. 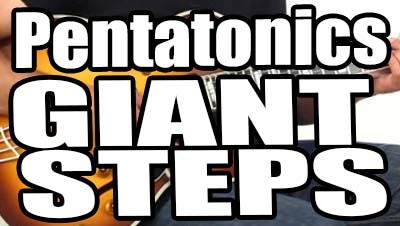 This lesson will show you eight ways to use the minor pentatonic scale over a dominant seventh chord. The principle is easy to understand, this consists in playing the minor pentatonic scale starting on each tone of the Mixolydian scale (1, 2, 3, 4, 5, 6, b7). This method helps to highlight certain notes and brings interesting colors to your jazz guitar lines depending on you want to play outside or inside. 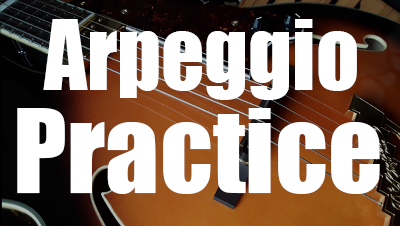 Arpeggios are surely the most important devices to master when you want to start improvising. Every jazz players use arpeggios in their improvisations. Great guitarists, all kinds of styles use arpeggios : John Scofield, Kurt Rosewinkel, Birelli Lagrene, Django Reinhardt, and many more. Arpeggios are played extensively because they use only the notes found in a single chord. Therefore, they create a more harmonized sound when played with their corresponding chord. Arpeggios are very helpful to easily outline the chord changes. This lesson is focused on the most basic form of arpeggios made out of three notes called "triad arpeggios".